For anyone who doesn’t know, I’m a huge Futbol/Soccer Fan. I’ll watch any game, anywhere. For years I coached my son, who has gone on to play competitively, outgrowing my coaching skills by far. So we’ve been looking forward to World Cup 2014 for a long time, and now it’s here. Soccer holds a special place in our hearts here in the Antich Household…but when psychic stuff gets tied in with soccer – well I can just about lose my mind. Check it out. But actually, he did. He drempt it two days earlier. And here’s what makes this story even more incredible and unbelievable. Brooks is a SUB. So, the probability of him even playing was very very slim. He ONLY went in because someone got hurt. He is the FIRST SUB EVER IN US HISTORY TO SCORE A GOAL. FIRST SUB EVER TO SCORE A GOAL. IN US HISTORY. Do you understand what I am saying??! He drempt it was 88th minute…and scored in the 86th. We LOVE the Beautiful Game. In short, the messages I keep getting are this: we all have access to the greatness inside of us – if we can just chose to Accept, Acknowledge and ACT. It’s really worth a listen, because we talked a LOT about what WE can do to create change. And it’s not what you think. Change isn’t started with guys in suits up in Washington, or princes in palaces. It’s started with US. Each of us. The small guy, the little guy. The SIMPLE person, who just makes a different choice, not to fight. Not to hate. Not to ARGUE ENDLESSLY about things that DON’T MATTER!! All these earthly things we bicker about, dig at each other about, if we could just do less of THAT, even hold our tongues ONE TIME – that’s a start. Nope, not the “BIG WIGS” up on Capitol Hill, but the people tending their own small gardens, the farmers in the fields, just doing what they can to provide for their families, with their hands in the soil, toiling for an honest return in an UNHONEST market….These are the changemakers. Not the Professional Athletes, (Sorry Labron) but the teachers, who go to school and hug their kids, and try to make a difference, tired from Testing, swimming against the current to make a difference. The parents that are doing what they can with what they’ve got, WE ARE THE CHANGE MAKERS. So this post is for all of us – let’s add a little love in today, give an extra hug, an extra smile, and make a small difference, it’s worth so much more than any of us know. 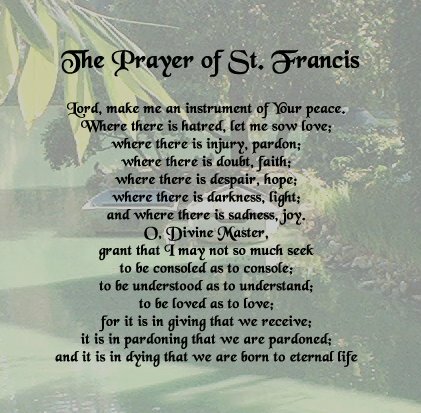 I am reminded AGAIN of a favorite poem of mine, spoken by a favorite saint, Saint Francis of Assisi. Have a beautiful day, and share some love, either by hug, smile, or holding of tongue and let’s make a change today. Here’s a smile and a hug from me – from one of my favorite days…. For the last couple of years I’ve toyed with the idea of starting a meetup for the supper club. Back in May – which seems to be the month for new beginnings around me and TPSC – I finally dropped the hammer and it’s coming along well. SO introducing…. We haven’t had a dinner yet, funny, I know – this is the TRAVELING PSYCHIC SUPPER CLUB, after all, but we will. I’ve taken a little break from dinners, but will be back again in July. 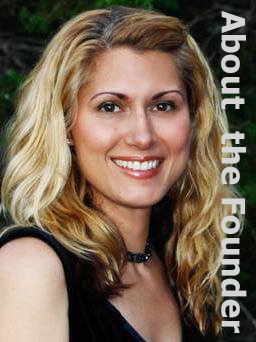 The meetup is SUCH an easier way to connect – is a better platform for posting stuff quickly, meeting other people and getting information out there about local stuff going on, and there is – a ton of local stuff going on. So if you are in Austin, jump on over to www.meetup.com/Traveling-Psychic-Supper-Club/ and join! There are some familiar faces there, and some new ones too. If you enjoy being part of the group, please feel free to tell a friend too, or bring a guest to any meeting, event or function. The more the merrier. We’ll be having all different kinds of meetings, not just dinners. We’ve had a coffee – on a weekday, attended a lecture, in the evening, and are going to see a movie at Unity Church of the Hills Friday night – E-motion, a documentary – here’s the trailer. Looks good doesn’t it? We’re branching out and doing all kinds of things. We’d love it if you join us. And if you aren’t in Austin, there’s always the radio show…and who knows, maybe we’ll be hitting the road soon….anyway show up somewhere, a meetup, a dinner, here on the blog – let’s stay connected and have some fun.